THE CIRCUS Once a year, all of us nerds come out of hiding. 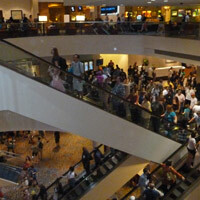 Although there are tons of conventions similar to this, there is nothing quite like Dragon*Con. This past weekend, I attended my first “Con.” I couldn’t help but call my friends back home to say, “I found my people!” From Hell…..